So excited to have reached over 10K followers on Instagram! 10,000 Thank You's and so much more! So grateful for all of the support and love! As a small business it's your belief in us that allows us to continue to grow and keep creating! To show our appreciation we are taking 30% off everything on our site! Please use promo code THANKYOU on our site luluandshay.com (link in bio) for 30% off your purchase today through Wednesday October 4 11:59 EST. If there is something you have seen on Instagram not yet included on our site please DM or email us and we can include it in the promo. Thanks again!!! Recently, I had the honor to make a unique wedding ring and engagement band set for a truly wonderful person. 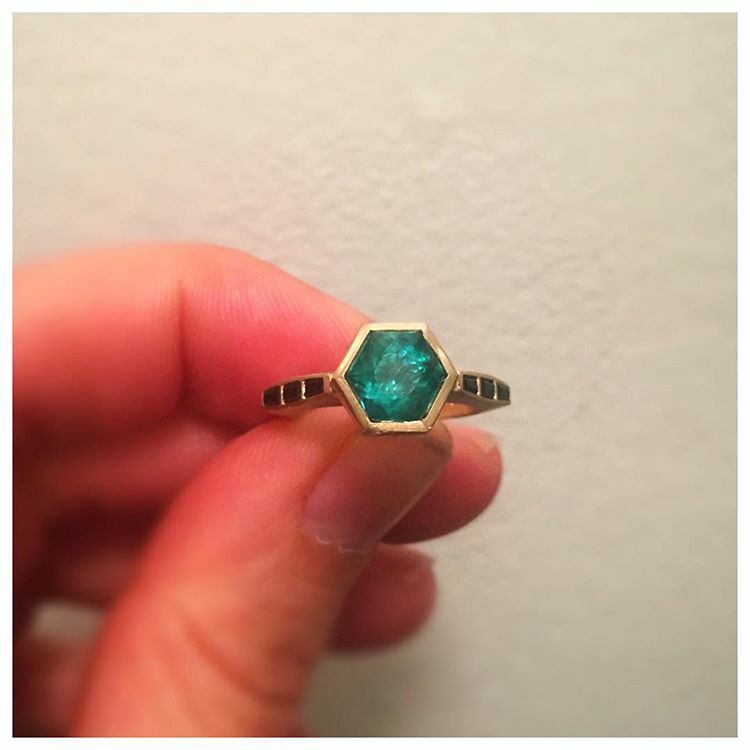 Sirena had found my Hexagon Center stone ring on Instagram and really wanted to create her own special engagement ring and wedding band set. Sirena explained to me that she has her own farm and works as a beekeeper, so she has a very strong connection to the hexagon shape. Sirena was able to come to NYC and pick out the emerald. 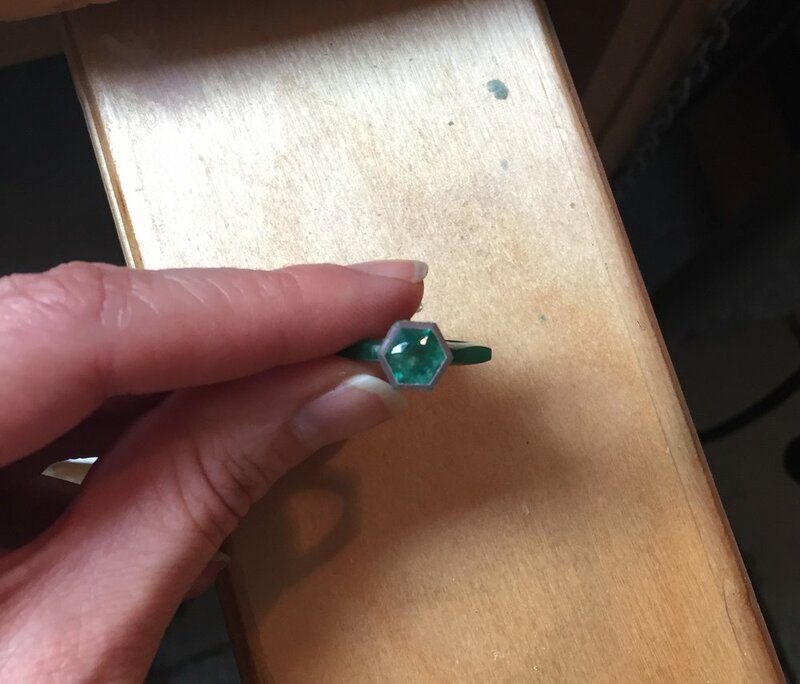 I had the square emerald cut into a perfect hexagon, and I hand carved the wax rings in wax before casting. It was such an honor making a one of kind ring like this for such a incredible person. Big Congrats to Sirena and TJ wishing you both a lifetime of happiness and love. So excited to share a Q +A I did with Jewel Street recently about how I came about becoming a jewelry designer and starting Lulu & Shay!